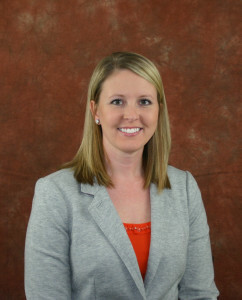 Alicia J. Ridgway is a Certified Registered Nurse Anesthetist (CRNA) for Associated Anesthesiologists, P.C. Alicia is a native of Humboldt Nebraska. Alicia completed her Bachelor of Science in Nursing Degree at Bryan Hospital School of Nursing in 2009 and then she completed her anesthetist training at the Bryan College of Health Sciences School of Nurse Anesthesia in May 2015. Alicia became a licensed CRNA in the State of Nebraska that same year, 2015. Alicia is married and her personal interests include biking, reading, watersports, sewing, traveling and spending time with her family and friends. Alicia has been with Associated Anesthesiologists, P.C. since June 2015.